Left 4 Dead 2's first run on Linux leaves its Windows version in the dust. 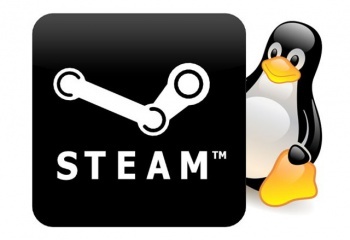 Half-Life developer Valve recently announced that it would bring its Steam platform to Linux to help legitimize the free OS as a gaming platform. While the reaction from the GNU Project's founder wasn't entirely supportive, the Valve team has forged ahead and bench tested their Linux-based engine on a high-end machine. The results, when compared with those under Windows, were rather astonishing. The hardware Valve used was top of the line - an Intel Core i7 3930k processor, an NVIDIA GTX 680 graphics card and 32GB of RAM were put to the test with both a 64-bit version of Windows 7 and a 32-bit version of Ubuntu 12. The team first ran a benchmark of Left 4 Dead 2 under Windows' Direct3D renderer, and managed to achieve a baseline performance of 270.6 FPS. Next, Valve tested the same game under Linux using OpenGL, and obtained an initial result of 6FPS. This is hardly an impressive figure, but it's not unreasonable that a newly-ported engine would have a few hiccups. The breakthrough came after a few performance tweaks and with some direct help from hardware manufacturers, after which the team recorded a staggering 315 frames per second. The true surprise here comes not from the numbers themselves, but in the difference in the amount of time Valve has spent with each platform. The Source engine has been up and running on Windows systems for over eight years now, while Valve's Linux team has only been around since 2011. Even after a set of performance tweaks, the Windows edition still couldn't quite match Linux's speed. The direct involvement from AMD, NVIDIA and Intel is quite intriguing as well, as until now they have had very little direct involvement with Linux. Only recently, Linux creator Linus Torvalds told a Q&A session that "NVIDIA has been the single worst company we've ever dealt with," so it's uncertain yet whether the collaboration will be a positive one for all involved. Valve hasn't said yet when it will release Left 4 Dead 2 or Steam for Linux, but these performance figures show that certainly should stand up well to its Windows counterpart when it does come out.